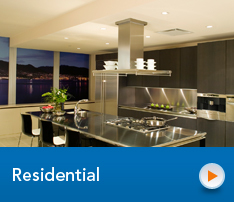 Cablenet is Perth's leading provider of residential and commercial electrical systems. We offer a range of cost-effective services including wiring, rewiring, data and fibre optic cabling and more. With 24hr rapid response we can assist with repair or maintenance throughout Perth's metropolitan area day or night - ensuring your safety and peace of mind. As one of Perth's leading electrical contractors, our electricians are fully licensed, qualified to top standards and highly experienced with all types of wiring, fibre optical cabling and data communications projects. Our professional work meets all relevant state and federal building regulations and codes, and each job finishes with the issuance of a federally recognised safety completion certificate. We make sure our Perth-based electricians, have the highest level of training, and continually improve their skills to ensure we offer the best service possible on every job. As electrical contractors, we are professional, reliable and guaranteed to get it done in a friendly and timely fashion. Add value, function and style to your home with Cablenet's residential services. By installing the correct energy efficient appliances, lighting ambience and smart wiring, you can make your home even more liveable. At Cablenet, we can provide you with complete home automation, maintenance, repair and additional power and lighting outlets inside or out. For any residential electrical contracting or cabling work in Perth, call Cablenet. 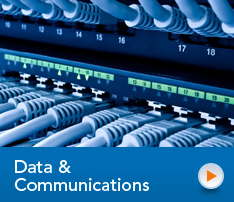 Consider switching to fibre optic data cabling for a faster & more reliable transfer of data. Read about the many benefits it can offer your business. 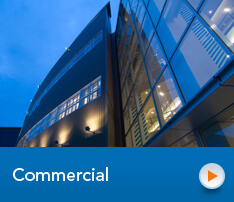 Whether leasing or buying, get your commercial property electrical wiring independently checked. Read our tips on what to have inspected & upgraded. Why install LED lights in your business? Find out our top five reasons to upgrade your lighting from fluorescent and incandescent bulbs to LED. Need an upgrade for your home office? We can install extra computer and telephone outlets, as well as fibre optic cabling solutions. Our specialists can install additional power points in any house or office, for the most complete range of electrical equipment and services in Perth. Green energy matters - reduce your bills by installing energy efficient lighting. We can help you make a real difference by installing energy efficient lighting, letting you simultaneously save on your electricity bills while reducing your carbon footprint. Contact Cablenet, for more information on residential or office electrical work, energy efficient lighting and fibre optic cabling, and more. At Cablenet, we work with a wide range of commercial customers to help increase productivity and connectivity in both existing and new offices, through the implementation of structured communications cabling solutions. We can help you work smarter by bringing cutting edge, world-class electrical technology solutions to Perth. 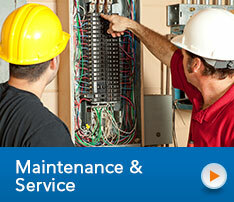 Get the best electrical service in Perth. Contact Cablenet on 08 9381 5802 for professional wiring, communication cabling and fibre optic cabling by qualified professional electricians. We've received your request. We'll be in touch soon.